Launching shortly after this Update is live is our first Operation of 2019. This entire Update is about 3 GB*, get ready! What follows is a summary of the Operation post! *This update includes everything from Fortuna: Hotfix 24.2.13 to Buried Debts: Update 24.5.1. Many of you are experienced with what comes with a mainline update, but for those of you who might not know - they tend to be quite bulky in size when first released on PC, and since we want to give you guys the most we can in a single cert build, that usually includes a big chunk of content from everything that was released after mainline. We bring you our first Operation of 2019. It's big, deep, and it starts soon! 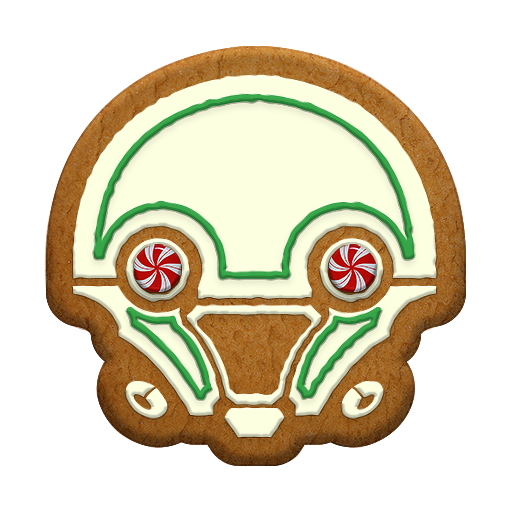 Buckle in, Tenno. While we have no clan leaderboard with this Operation, you can earn many rewards by participating and unlocking the mysteries of Fortuna. We’re doing things a bit differently with the launch of the Operation on XB1 for the first phase (Thermia Fractures and Data-Hash scanning) and onward (“Escalation” boss fight). You may be aware of the fixes that are being worked on for PC to address some painful bugs in the boss fight: crashes, Host migration issues, etc. In light of this, we will be sending another build to cert as soon as possible with whatever fixes are needed. We aren’t comfortable having the boss fight go live in its current condition as it is very unstable and fun-breaking. 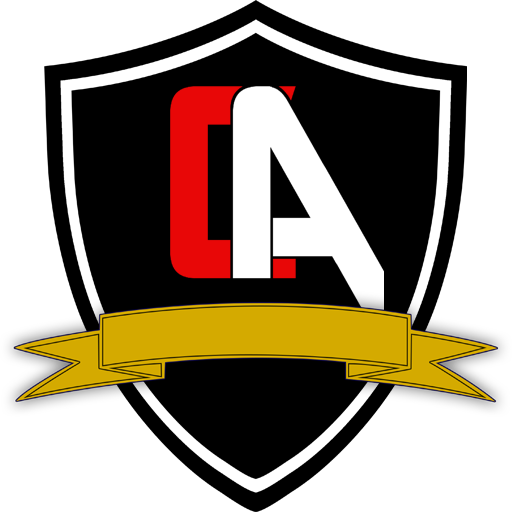 Ideally, we want to deliver it in its best quality form for a smoother and more enjoyable experience. March 25th Edit: We've got some great news to share - After the hard work of the team, we no longer need to send to Cert for the next stages of the Operation. Meaning that Data-hash and Escalation will be coming much sooner than originally anticipated! We hope you've been enjoying closing up those blasted Thermia Fractures, all your efforts will soon lead you to the next stages of Buried Debts. A bird's eye view will help you find Thermia fractures! Kill Coolant Raknoids to take their canisters and put them on a Thermia fracture. 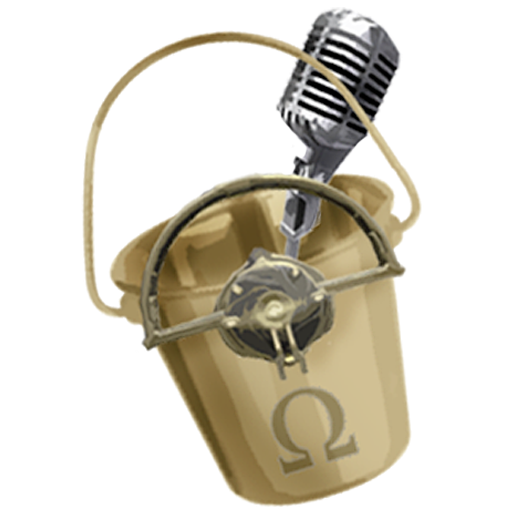 When the canister is ready, you'll need to defend it from Corpus enemies. You get 1 point for each Thermia Fracture you close - if you close 4 Fractures with 1 Coolant canister, you get 3 bonus points (7 total)! You can track your personal progress via the Navigation panel. The Data-Hash scanning portion of Phase 1 will be postponed since it is tied to the boss fight. This will go live around the time we send the bug fix build to cert. But in the meantime, you’ll notice the Hashes are still scattered around the Vallis. You can get a head start in discovering their locations now, so that when when the time comes for you to put the pieces together, you’ll be ahead of the game! We are hoping for a speedy turnaround for the cert builds, but this does depend heavily on fixes going live on PC. We will keep you updated as we go along. We appreciate your patience, especially since we know you are excited to get to collecting Hildryn’s components via the boss fight. Rest assured that even though we have changed up the pacing of the event, Hildryn will remain a completely free Warframe for you to earn once the fight is live! 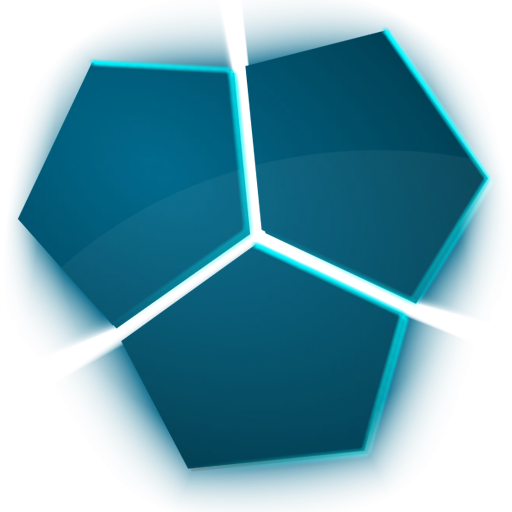 For now, you can play to earn the Operation Emblem, new mods, Sigil, and Opticor Vandal via Thermia fractures. Good luck out there, Tenno! Brief note about difficulty intention: some players may find some of the combat encounters of this operation difficult. It is intended that this is a higher difficulty. Brief note about event recurrence: we have this set up to occur as a world event frequently. This will not be a case of Hildryn being inaccessible as Thermia Fractures will occur in the Orb Vallis regularly, enabling the boss fight (in its newly polished post-cert state). It will be frequent to make sure she is available to all! This event is cycled similarly to Baro Ki'Teer in cadence. In the same way you can get Sands of Inaros from Baro Ki'Teer with Ducats when he visits regularly, you can use Thermia to get Hildryn. Fractures will occur often - like ghouls - to keep Thermia in high supply. Visit our Operation: Buried Debts FAQ thread for more information on how to participate in the Thermia fracture sequence! The best defense is a good offense. Hildryn draws from her Shields to fuel her Abilities, while Energy works to recharge them. Take to the skies and rain down destruction with Hildryn, the newest Warframe. Become invulnerable for a brief moment after Shields are depleted. This ability is restored when Shields fully recharge. Charge and launch devastating bolts of fire. Pillage a percentage of Shields and Armor of nearby enemies to replenish Hildryn’s own Shields and Overshields. Also removes status effects from Hildryn and her allies. Create a Shield aura around allies. Enemies that approach Shielded allies will take damage. Take the skies and rain Balefire rockets down on the enemy. 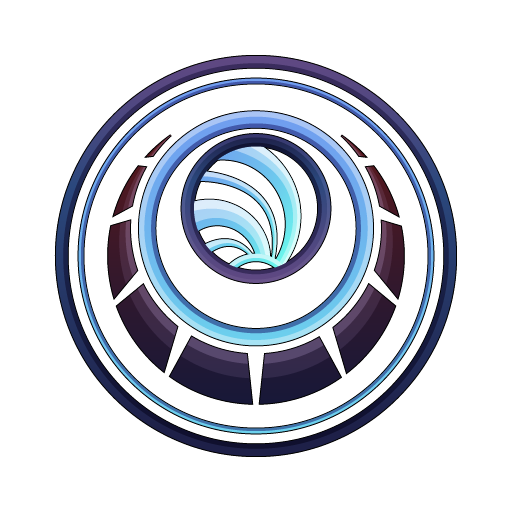 Nearby enemies are blasted into the air where they will create an Energy Orb every few seconds. When Shields runs out the enemies are smashed into the ground. Hildryn can use her custom dodge while in Aegis Storm at the cost of her Shields (50). We're starting with this cost because many abilities of this nature have movement restrictions that can be overcome with Augments (Peacemaker, Resonating Quake, Assimilate). We want to try out a movement cost before we tweak further based on feedback. Hildryn can be obtained via the in-game Market, Little Duck Offering (Main BP), and as drops from a new Boss fight to come! The battle-visage of a formidable warrior. Inscrutable as a monolith, implacable as a hammer-blow. 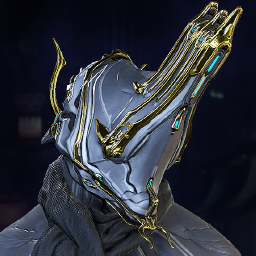 Hildryn Asuron Helmet can be acquired in the in-game Market and in Nightwave’s next Series Offerings. A Syandana with kick, as robust as Hildryn herself. Surator Syandana can be acquired in the in-game Market. From death blooms the Larkspur. A unique and menacing Archgun with a wild initial attack that locks onto a target then chains other targets close to the first. It also sports an explosive projectile mode. In Hildryn's grip the Larkspur carries more reserve ammo. Larkspur can be acquired in the in-game Market and in the Tenno Lab Clan Research. Load up with Hildryn and several iconic additions for this stolid Warframe: the robust Surator Syandana, the intimidating Asuron Helmet and the distinctive Larkspur Archgun. Includes 3-Day Affinity and Credit Boosters as well as an Archgun Gravimag device. Hildryn Collection can be acquired in the in-game Market. Extol the virtues of Profit with this Corpus-styled Syandana. 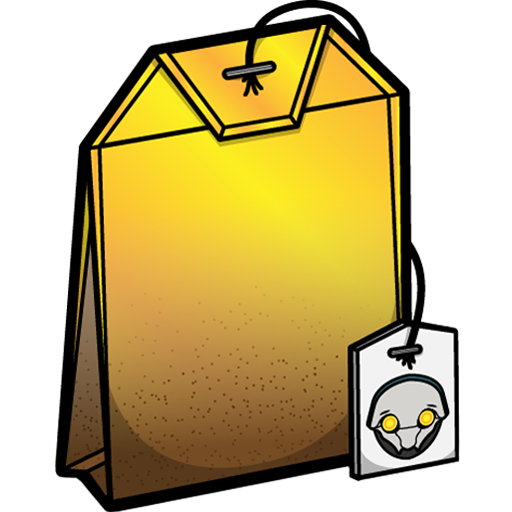 Quaro Syandana can be acquired in the in-game Market. War-garb for the liminal; a new form for the in-between. New rule: with this one-of-a-kind the house always loses. A Syandana that dances upon the eddies of battle and void-currents alike. This Sugatra has been seen adorning the weapons of myths and monsters alike, its provenance unknown. Standing in the doorway between one world and another, be sure to cut a memorable figure. This bundle includes the Limbo Limina Skin, Tarock Thrown Blade Skin, Interga Sugatra and the Sidereal Syandana. Limbo Limina Collection can be acquired in the in-game Market. Fearsome and noble, the elegant two-handed Nikana is the pride of any Arsenal. Tatsu can be acquired in the in-game Market. Deftly executed sweeps and slashes. Wise Razor can be acquired from a new Raknoid enemy. MELEE REVISIT: PHASE 1: "Flow"
Swap between your gun and melee at the press of a button, no holstering required! Combos will be able to be executed and resumed between movement and more. Blocking will be automatic in melee mode when aiming at an attacking enemy. Your stance combos may change, so be sure to check out the Stance interface when the update goes live! A Tenno is a master of aerial tactics - soon you will be able to better target enemies on the ground with deadly and responsive aimed ground slams. We've done a complete overall of all Melee Effects! Hit animations, elemental effects and slam attacks: making melee look as good as it feels! Because this is Phase 1, it means all the unique weapons will have new generic FX for a little while (Jat Kittag etc.) until we can get through them all and make new clean variants. New and cleaner FX have been created with the idea of beautifully short, highly detailed lifespans. Not infinite - meaning the 'Constant Weapon Trail' option will be removed as a result of this change (at least for Phase 1, we really do think it looks better removed). Fundamentally, we aim to upgrade Melee. This is Phase 1. 1) Uninterrupted Combat - firearm to equipped melee (and vice versa) states are instant. 2) Ground Slams are more controllable, cleaner, and simpler. 3) Visual FX: 2019 style! A full Visual FX pass has been done for Phase 1! Because this is Phase 1, it 'means all the unique weapons will have new generic FX for a little while (Jat Kittag etc.) until we can get through them all and make new clean variants'. Please restore your controller bindings to default to experience the changes. Your 'Y' button will exclusively swaps between Primary and Secondary weapons with a tap. Pressing 'Y' when in Melee mode will switch you back to your "other" weapon. For example, if your Primary weapon is equipped when you trigger a Melee attack, you will return to your Primary weapon when you aim or fire. If you instead press 'Y' while in Melee mode, you will equip your Secondary weapon. Your 'RT' will be gun fire, always, instantly. Your 'LT' will always aim, instantly. 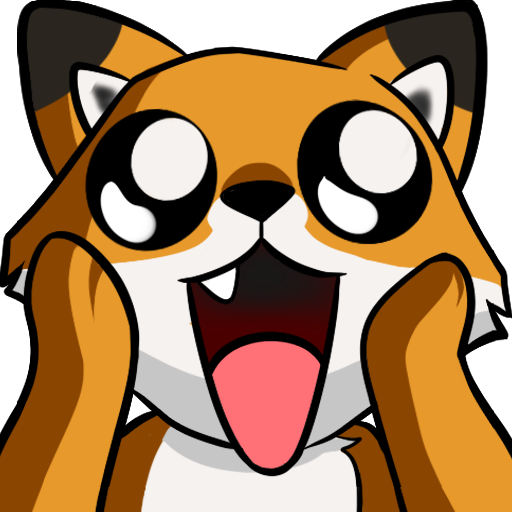 Channeling will be a toggle set to your alt-fire button when in melee mode. Melee Channeling will no longer be able to be rebound due to it completely breaking the Melee changes. We apologize for the discomfort this may cause for those who have built their controllers comfortably around a different binding. Blocking with a melee weapon is now automatic when facing enemies who are dealing damage to you in melee mode. Your Reticle determines all! However, we have also included Manual blocking/parry when players wield only a Melee weapon in a mission (i.e NO Secondary or Primary equipped). This is possible because in this specific state, some bindings are free to allow this manual blocking. We do not plan on adding it to any other state yet. We have added a toggle to preserve one aspect of the older melee system. You will be able to toggle it, allowing you to continue melee attacks with the 'RT' trigger once in melee mode. You will find it under Options > Controls > “Melee with Fire Weapon Input”. Updated Reticles: Melee mode has received its own reticle! Archwing: Arch-Melee & Archgun now also use the 'instant swap' behaviour. Dual Wield (i.e Glaive & Single Secondary) is still supported! Exalted weapons will also benefit from the uninterrupted swaps! Be aware that Energy will still drain, even when swapping between weapons! AI hit reacts are getting updated! Enemies will have a more visceral/realistic response to the various hits you dish out. With Melee Blocking now automatic, the Blocking angle has been reduced to 45 degrees. Sigma & Octantis and Cobra & Crane Shield throw animations have been shortened and speed increased. If using no custom Energy color, the weapon will inherit the colors of the Elemental FX (or base trails if no elements are present). This unifies all colors (swing FX, trails, hit FX, etc). Rakta Dark Dagger’s equipped bonus is now an innate upgrade that triggers on equip and lasts for 30 secs (refreshed on Melee equip). Vaykor Sydon’s Radial Blind now triggers upon toggling Melee Channel on/off if you have the required charges stored. Introducing a new way to customize your Warframe: Ephemera! These new 'ATTACHMENTS' can only be earned and crafted by the brave. Once you acquire an Ephemera Blueprint and craft it, the ability to equip an Ephemera will appear in your Arsenal under Attachments! 3 new curly haired Operator Hairstyles are now available! Choose from Curly Bun, Curly Braid, or Curly Ponytail. In addition, Operator hairline has been improved to show less scalp. The Tenno have improved their hair care routine and it shows! Corpus inspired Highbrow, Two-Sloops, and Thugs Blueprints are available from Roky! K-Drive races now award Affinity towards the actual K-Drive, not just Ventkid Standing! K-Drive Race Standing has been doubled! A Mastery Rank 27 Test has been added! Added a shockwave that ragdolls nearby enemies when using the Archgun Deployer. Added new Business and Hai-Luk VO lines about Fish rarity. Added different aim pose animations for enemy MOAs. Added a hint sound to the Fishing Spear during Profit-Taker Bounty Phase 1. Added sword impact sound effect to Excalibur’s Slash Dash for a little added oomph as your slice through your foes! Added whooshing sounds to Valkyr’s Hysteria heavy attack. Added FX to Heavy Weapon equip of the Grattler and Fluctus. Bounties are now available out in the Plains of Eidolon! Certain tents placed throughout the Plains contain a console that encompasses the power to contact Konzu himself. With Bounties now available out in the Plains, Incursions have been removed. These were meant to give players something optional to do as they spend their time in the Plains, but since Bounties can be activated on command, they no longer serve a purpose. We've reduced the number of enemies that can trigger knockback to players during the Orb Heist Profit Taker fight. Polished numerous Junction boss fights to have better power usage and combat pacing. Rewrote Melee section of the “Training: Basics” Codex entry. Rewrote Melee 2.0 section and renamed to “Advanced Melee” and moved to be beside "Advanced Movement". Removed "Dark Sectors" section from the Training Codex. The Warframe Abilities screen has received a visual and functional overhaul! Added stats to your Warframe’s Passive description in the Abilities menu. Ability information is now displayed in a more condensed form, with hover-over functionality to display specific Stats and expand the information. A new ‘Tips’ section has been added that covers a range of information on the Warframe’s abilities from synergies to modding tips, and more! Respective Ability videos now also appear upon hover-over to add that little extra spice! This initial Ability video aspect is currently functional for Excalibur, Mag, Volt, Garuda, Baruuk, Revenant, and Hildryn! More to gradually come! Your chosen UI Theme is now thematically reflected. Arcane Ranks displayed on the right-side are now selectable, allowing for a more direct Rank Up mechanic. The Dojo Trading screen has received an overhaul! 6 Trading Slots instead of 5! Faster item selection responsiveness and improved UI to help you easily find the items you want to Trade. The Trading UI screen now has chosen UI Themed particle FXs. 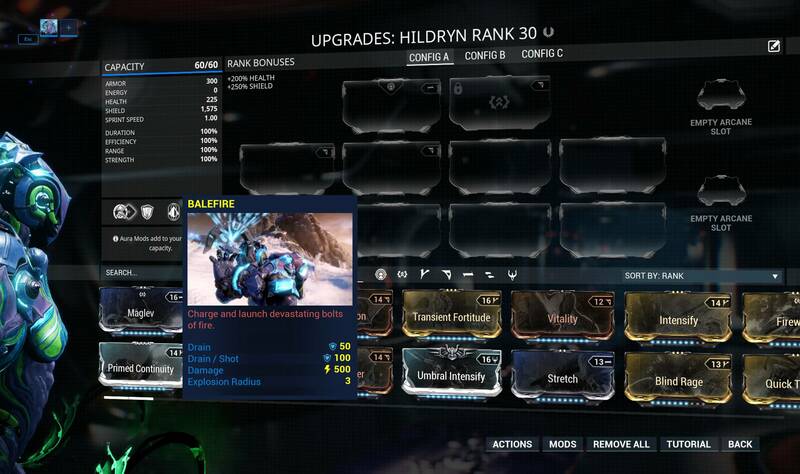 The Trading screen now contains a Riven category and specific search functionality! Added checkmark to the ‘Ready to Trade’ UI screen. Respective Warframe Ability stats can now be seen in the Warframe Arsenal Upgrade screen. Arcanes can now be unequipped in the Warframe Arsenal Upgrade screen the same way Mods are. The Dojo Decoration screen and Dojo Room Construction screen now reflects your chosen UI Theme! HUD Damage Numbers and Affinity Numbers can now be separately toggled in the Interface Settings! If Coupons, Boosters, 2x Events, etc are active, hovering over the Icon in the top right will display a list of the respective active events. Selecting the Foundry notification in the UI will take you to the appropriate Foundry screen to claim. Swapped the order of Operator Hair ‘Tips’ and ‘Highlight’ in the customization menu so it made more sense with the tint masks used. Scrollbars now default to a condensed mode where necessary. Hovering over their hitbox will expand them to a normal size. Improved successful Mining discrepancies where it would appear you hit the perfect sweet spot in the heat gauge but were told otherwise. Updated all mentions of Solar Map/Solar Chart to Star Chart. Added a checkmark for prerequisite Dojo Research preview and completed material requirements. Adjusted the size and positioning of the generic notification popup. Removed “.” period characters from names of Weapons and Pets. Numerous widespread changes to capitalized vs lowercase UI text. Fixed Valkyr’s Warcry UI not reflecting the Eternal War Mods timer increase. Fixed some UI Themes not maintaining respective text color. Fixed issue where colors didn’t match chosen UI themes in Warframe and weapon stat popups. Fixed the ‘Lost Connection’ UI popup not fully reflecting chosen UI Theme. Fixed stats when previewing Amp Parts while the Preview Gilded option is toggled appearing as Ungilded > Gilded. Now, it compares Gilded > Gilded with the new Amp Part. Fixed the Mining UI disappearing if killed while Mining. Fixed UI lock after selecting ‘Replicate’ and then closing the Research screen in the Dojo. Fixed UI breaking when sending someone a Gift and then traveling to Fortuna. Fixed the UI not reflecting a new Trade Offering correctly after a player offered Platinum and switched it to something else. Fixed Gear Spiral items displaying darker than expected when viewed in the Arsenal. Fixed an unnecessary plural pronoun in the Inbox notification UI popup. Potential fix for the Daily Tribute Vignette sometimes not being attached to the edge of the screen. The homing energy projectiles that Enthrall pillars emit now have a chance to Enthrall enemies while inflicting damage if there is room in the Enthrall cap. This allows Enthrall to spread more organically, and as the cap is reached, damage continues on other targets. Fixed Revenant becoming stuck in his spinning animations if he becomes downed during Danse Macabre. Fixed Mesmer Skin consuming multiple charges when getting hit multiple times in the same frame from the same enemy (e.g. a projectile that hits you and explodes). Sunpoint Plasma Drill Range Widget: Increases plasma beam range. Sunpoint Plasma Drill Silencer Widget: Mine in peace and avoid alerting nearby enemies with this drill silencing widget. Reduced Focused Nosam Cutter standing cost to 750 and Advanced Nosam Cutter cost to 1000. Lowered the Standing cost of the Tulok and Param Fishing Spears to 500 and made them available at Rank 0. Improved the visibility of the Color Pigment Research in the Clan Log by adding further detailed information as well as color coded texted to each respective Pigment. Assassinate encounters are no longer global, they are now localized to a specific area within a radius. The encounter can be abandoned by leaving the radius. We made this change because we received feedback that players are getting frustrated that they are so widely separated when trying to achieve the same goal in Bounties. Changed bonus objective of the Corpus Assassinate Bounty on Vallis: the Bounty will now fail if enough Credits are not gathered before the timer runs out, and Tenno will earn a bonus for collecting enough Credits within a shorter amount of time. This Bounty didn’t have a failstate like others, so we tweaked the objective and bonus objective for consistency. The timer now scales based on how many players are in the squad. The less players there are the more time is granted to complete. Assassinate target now scales based on how many players are in the squad. Changed the cover evaluator for the Assassination targets in Orb Vallis Bounties so that they don’t run as far to find cover. You are now able to extract from Survival, Excavation, and Defection missions independent of your squad. Once the 'mission complete' interval is met, players can head to extraction any time they choose (i.e 5 minutes for Survival). Any player at extraction triggers a countdown timer. If all players leave the extraction zone, the countdown timer is cancelled. When the timer is up, the extraction ship arrives and any players in the extraction zone leave. Anyone still playing can extract later any time they choose. Swapping weapons as a Client will now feel more responsive because we've made it Client-Authoritative. Automatic Doors have been made Client-Authoritative. Previously there were cases of door not opening in tandem with the Host if any latency was experienced. Cameras now have a number indication to help differentiate them when viewing a large number of cameras together in one scene. Visualized cameras can now be selected by gazing at them in Free Cam Mode. Minor fixes for camera animation and post process lingering after Free Cam Mode is exited. Fixed the Flox Syandana not unfolding its wings in the Arsenal and Captura. Silver Xbox Live Members will be able to have access to a Dojo of their own! The Navigation Window (where Alerts used to propagate) now displays more information about current activities such as the Plains Time of Day, Orb Vallis Temperature, Nightwave Acts, and more! Chesa Kubrow now attempts to retrieve the single closest loot, the same way Nekros’ Desecrate does. 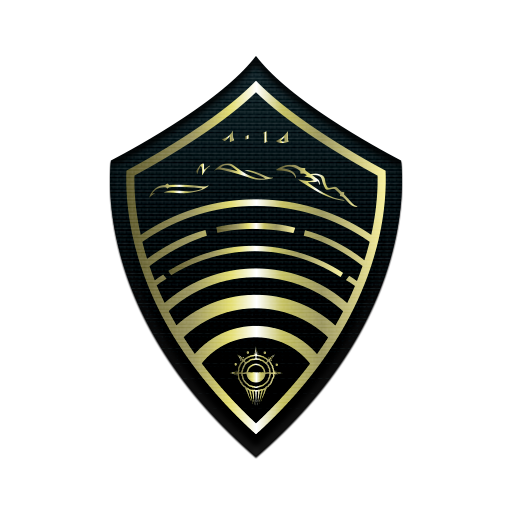 Removed Synthula from Rotation A (Survival, Defense, Interception) rewards and made into a Clan Research Blueprint. Increased Stim buff duration to NPC’s from 30 seconds to 120. Corinth Mastery Rank requirement reduced to 8 from 10. Changed Burston building requirements to 600 Ferrite instead of 600 Nano Spores. Increased the Conservation Tranq Rifle clip size from 1 to 3 tranqs! Changed the Mutalist Quanta Alt Fire damage type from Electricity to Toxin and slightly increased the Explosion Range from 6m to 8m. Updated the firing FX of the Opticor. Cleaned up Gammacor and Staticor FX. Operator Void Dash no longer 'collides' with enemies if you didn't actually move with your Void Dash. Exodia Contagion now requires you to be Aim Gliding to launch the Infested energy projectile. Fixed ability to Void Dash contentiously for no Energy cost when Magus Lockdown, Magus Revert, and Madurai Meteoric Dash are triggered. Reflex Guard Mod has changed from 55% Auto Parry Chance to +100% Parry Angle. Renamed Limbo’s Haven Augment Mod to Rift Haven. Null Stars (on recast) are shot to enemies within 30 meters (closer enemies prioritized), on contact they explode for the same area-of-effect they do today. If it can't find any enemies they explode like they do now. Improved the camera shake on Baruuk’s Serene Storm ability. When Titania is in Razorwing, melee strikes on the butterflies no longer cause screen shake. Changed Limbo’s Stasis to no longer affect temporarily friendly enemies (Nyx’s Mind Control, Revenant’s Enthrall). Changed Garuda’s FX to green ooze and other particles for Tenno with Gore disabled. Shockwaves caused by Heavy Impact or Rhino’s Passive now use your Energy colour. Re-enabled ability to equip multiple Echo-Lures to the Gear Wheel. This allows for quicker access to desired Echo-Lure when in that heated Conservation moment! ﻿Widened a damaged bunker opening in the Kuva Survival tileset. You know the one. ﻿Slight improvements towards hitches occurring when approaching Bases in Orb Vallis. Made some improvements to what Mods are prioritized when using auto install. Improved hand placement in the kneeling animation when logging into Warframe where larger Warframes appeared to have their hands clipping through their legs. Polished the Exergis reload animation for smoothness. Small tweak towards the Corpus Sapping Osprey mine area-of-effect to better convey the hazardous radius. Tweaked Corpus Ospreys movement to have more bodily rotation. Tweaked Vallis Terra enemy lasers to be thinner/fade near the end, and to be more freezing/snow looking versus electric. All Orbs in the Orb Vallis are now immune to the effects of Corrosive Projection. Increased the radius of the Profit-Takers final explosion. Improved the Corpus Dropship explosions on Vallis. Increased the distance at which you can see Dropships warping in/out on the Plains of Eidolon. Lowered Health of Grineer Arc Traps so they can be easily destroyed by a Melee radial slam. If Alad V is killed before his taunt transmissions finish, the transmissions will now be cut off by his death cry. Cleaned up grenade sounds across all enemies - Corpus and Grineer now have unique grenade warning beeps and explosions! Reduced volume of Archgun load and reload sounds. Adjusted overly loud ice crack sounds in the Corpus Ice Planet tileset. Improved mesh details on the Operator chair. Updated Jackal's materials to PBR. Improved Shield Lancer strafing movement. Tweaks to the Leech Osprey projectile mesh to fix it floating when stuck to the player. Removed [PH] from Codex descriptions of Raknoid and Orb enemies. Made several micro-optimization texture, rendering, memory management, and more. Optimized Landscape level visibility and zoning of Orb Vallis minimap. Optimized certain effects when hidden (such as the Edo Prime shoulder plate channelling electricity). Improved performance for Oberon’s Hallowed Eruption Augment. Improved performance for the enemy MOA leap ability in Orb Vallis. Improved sky fog in the Grineer Sealab tileset. Improved lighting & certain ramp sizes in the Grineer Sealab tileset. Improved environmental AI on the Grineer Sealab tileset. Improved AI jump actions in the Grineer Forest Defense tileset to alleviate getting stuck on their path to the Defense Target. Improvements towards AI pathing in the Grineer Asteroid Defection tileset. Improvements towards minimap marker pathing. Expand the spoilers for full list of fixes! Fixed a long-standing issue with Ivara being able to remain cloaked while performing a Bullet Jump when using Prowl, while Solo or Host. Parkour is intended to break Prowl's cloak. Fixed Mag’s Crush granting Overshields to Operators. Fixed Mag’s Magnetize not affecting ragdolled enemies, but still draining Energy upon attempted cast. Fixed Ratels spawned from a Corpus Sniper shadow (Nekros’ Shadows of the Dead) not appearing purple or having a Health decay, thus resulting in an inability to progress through certain missions (Defense waves, etc). Fixed cases of Rift Surge not always banishing enemies as they exit Limbo’s Rift. Fixed Titania’s Razorwing disabling your primary after equipping a heavy weapon of the same type. Fixed the Mirage Immortal Skin not appearing on her Hall of Mirror clones. Fixed an issue with Mesa's Ballistic Battery not working with the Ignis. Fixed Harrow’s Penance recast not refreshing Duration. Fixed Gara’s Splinter Storm self timer not being refreshed when affected by Mass Vitrify. Fixed Baruuk's Desert Wind slam attack not working. Slam attack now always pushes enemies away (would previously pull if you were parrying). Fixed Baruuk’s Restraint amount changing following a Host migration for Clients. Fixed glitchy textures in Baruuk’s diorama. Fixed inability to destroy Nullifier bubbles when inside Khora’s Strangledome. Fixed Mutalist Quanta Alt Fire orbs not stacking. Fixed the Cyngas becoming an auto-burst weapon in Atmosphere Archgun mode. Fixed the Opticor (and likely others) not drawing a new beam with high Fire Rate Mods. Fixed a delay in Tonkor’s grenade explosion that occurred when the grenade passed through Volt’s Shield. Fixed Exard Scaffold not resetting damage resistances on Sentients. Fixed Sepfahn Zaws dealing only Heat damage. Fixed some Heavy Zaws applying their innate damage multiplier to the base damage of Warframe’s with abilities that scale off their equipped melee (Atlas, Khora, etc). Fixed missing Zaw preview when the Sepfahn Strike is selected. Fixed the War not reflecting your chosen Energy color. Fix Magus Repair reviving downed Allies and applying to Operators. Fixed the Magus Repair replenishing your Warframe’s Health twice as quickly as intended. Fixed Clients able to permanently continually heal your Warframe’s Health by Transferring in succession with Magus Repair equipped. Fixed Magus Repair not affecting Excalibur Umbra. Fixed the Magus Lockdown using the wrong physical grenade mine mesh. Fixed Clients appearing to fire from only the right Akjagara Prime pistol. Fixed using Transference while simultaneously being knocked down as a Client resulting in an inability to cast Warframe Abilities, dodge, or use Transference. This archaic bug forced players to die/revive in order to continue performing such actions. Fixed issue with Clients not being able to accept the vote for Orb Heist Bounty in Fortuna. Fixed Clients not seeing Orbiter changes made by the Host whilst visiting. Fixed Drahk Master permanently stealing weapons from Clients. Fixed Client players not having their weapons in their hand properly when leaving Cetus/Fortuna via Gate/Elevator. Fixed an issue with Vallis Cache Recovery Bounties immediately failing when transitioning to the next phase. Fixed Vallis Reinforcement Beacons triggering Spy Bounty alarms if they were placed before the Bounty phase started. Fixed a case of the Courier Ambush Bounty insta-failing in Orb Vallis. Fixed Orb Vallis being improperly lit due to landscape surface shading. You should notice a eye-pleasing visual upgrade to your snowy surroundings! Fixed improperly ranked Solaris United players joining Orb Heists by rejoining a previous squad. Fixed pathing issue on the Orb Vallis that caused Sawgaws to get stuck on mushrooms during Conservation. Fixed inability to proceed in the Vox Solaris quest if the timer runs out during the ‘Investigate the Area’ phase. Fixed center piece of the Host’s K-Drive not having customized colors in the Orb Vallis. Fixed cases of some enemies not attacking in Plains or Orb Vallis. Fixed enemies getting pulled through the floor of Orb Vallis’ bases. Fixed issue with Orb Vallis Investigation and Rescue Bounties where the mission would not start if the player was on a K-Drive. Fixed broken objective marker in the Tyl Regor Assassination mission. Fixed ability to re-enter Lua puzzle rooms by rejoining a Host migrated mission. Fixed Operator Amps sometimes causing the Kuva cloud to disappear without properly giving Capture credit in a Kuva Siphon mission. Fixed MOA Companions with the Security Override Mod no longer hacking terminals in Spy missions. Fixed zoom bounce that would occur when selecting “repeat mission” at the end of a mission. Fixed issue in Sabotage Invasion missions where the blast door terminal is located on the opposite side of the boarding pod when moving it to the to Corpus base. Fixed missing in-world objective marker in the Lua Zeipel tileset until reaching the Rescue hack panel room. Fixed Decorations not aligning to surfaces when using surface snapping. Fixed the Note Beacon text appearing in Navigation dioramas if placed behind the Navigation console. Fixed some Companions not appearing in the Codex until they have been Incubated. Fixed the Trail Blazer K-Drive Mod not functioning. Fixed the Quick Escape K-Drive Mod resulting in players taking massive damage upon crashing. Fixed certain cases of not receiving Ghoul Purge rewards. Fixed an issue where interrupting the Atomos reload could leave it with parts detached. Fixed Resource Caches sometimes spawning inside caves and outside caves at a much farther distance in Plains Bounties. Fixed opening two hidden Resource Caches at the same time preventing progression during a Bounty. Fixed issue where Redeemer and Redeemer Prime charged attacks had no Critical Chance. Fixed the 'Synth Charge' Mod being erroneously equippable on some Exalted Weapons. Fixed deploying your Heavy Weapon prior to the Jordas Golem Assassinate cutscene resulting in inability to use Archwing weapons during the fight. Fixed being able to cast Warframe abilities while pulling yourself up over a ledge, resulting in broken animations. Now you have to wait to pull yourself up before you can cast! Fixed Frost’s Snow Globe no longer causing enemies to go flying if they are caught within cast. Fixed Smeeta Kavats being unreachable when becoming downed in mid-air. Fixed enemies appearing ‘stretched’ when dying from the Glaxion. Fixed releasing sprint while banking in Archwing would not clear bank velocity for the next time you sprinted. Fixed flashlight persisting from the Operator after Transferring back to your Warframe. Fixed Operator Vent Pobber Ventkid Mask head placement. Fixed an issue with the Mastery Sigil not properly working on Operators. 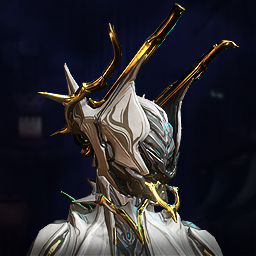 Fixed Mastery Sigil not appearing as intended the first time you enter the Operator Appearance tab. Fixed some issues with the Atavist Prime Armor channeling FX being permanently present. Fixed the Fluctus looking fuzzy when equipped. Fixed an issue with the Infested Ancient 'stretchy arm' attack never hitting, ever. Fixed wonky Boss intro camera angles. Fixed incorrect placement of the Lex Conclave Skin on the Lex Prime. Fixed the Perla Pistol Skin losing its clip on certain weapons. Fixed incorrect mesh pieces when equipping the Hammers Palatine Skin on the Volnus. Fixed Butcher-type enemies having problems missing their third attack. Fixed the Tributa Statue Dojo Decoration not having any collision or text function. Fixed Elemental Beast Companion Mods not allowing all Status combinations. 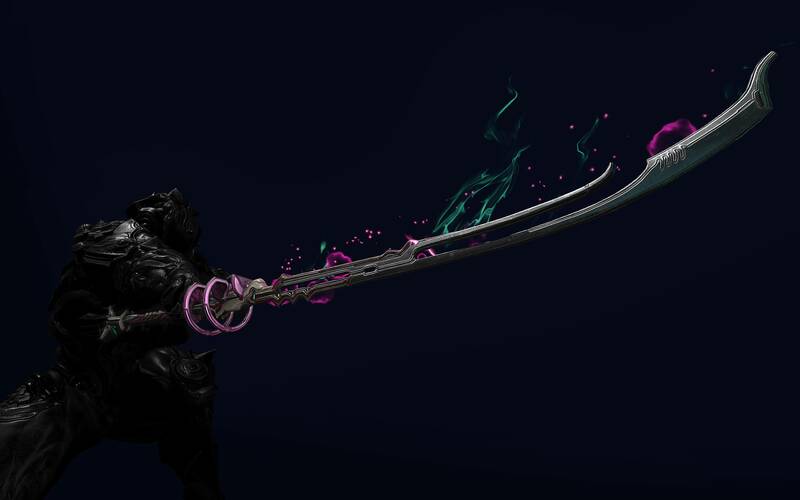 Fixed Revenant Reave being able to give a Mesmer Skin charge to Operators. Fixed Crates not spawning in Orb Vallis after returning to Fortuna. Fixed Nightwave Dailies appearing as progress for Weekly challenge completions. Fixed Nora Night ‘Fugitive success’ transmission playing regardless of success or fail. Fixed the Razorback appearing to have a fresh coat of blue paint. Fixed headless Warframes in the Archwing Ability screen. Fixed Darvo running in slow motion in an attempt to keep up with you. Fixed repeatedly restarting walk animations when aim firing the Operator Amp and then walking. Fixed cases of your Sentinel roaming freely around your Orbiter. Fixed your Companion jumping when exiting the Arsenal in Fortuna. Fixed excessively bright light emitting from the Lua Pavlov Spy vault glass panels. Fixed issue where players could not leave a message at any panel in the Dojo. Fixed issue where Pheromone count did not update during Conservation. Fixed in-game Market diorama of the Tenno Kindred Rug to let Tenno properly see the rug they’re buying. Fixed inability to Trade an Ayatan statue if it includes an Ayatan Star. Fixed missing metal piece on the knee of the Saita Prime Operator Suit. Fixed broken materials on engine block and tech pieces in the Arboretum room in the Void. Fixed inability to jump after exiting the Trading screen in the Dojo if the Trade an initiated while on a Kneeling Pad. Fixed footprints bug in the final cutscene of The War Within. Fixed issue with Titania’s Dex Pixia muzzle flash scale. Fixed Lancer and Temporal Dreg becoming visible again after being destroyed. Fixed missing Nikana swipes not playing during a Parry Finisher. Fixed Little Duck floating outside during the Profit-Taker Bounty 1. Fixed Articula’s not displaying their respective equipped weapons. Fixed Quick Thinking allowing multiple damage hits while knocked down. Fixed an issue where some Arbitration Shield Drones would not work. Fixed jittery legs on players when covering large distances or moving extremely quickly. Fixes towards Rescue Targets moving while downed. Fixed the Kuva Specter appearing broken when in Operator Void Mode in The War Within. Fixed K-Drive hovering on trees. Fixed K-Drives appearing black when viewing them in the Arsenal. Fixed ability to Dojo Duel your own Operator. Fixed inability to Gift the Akrabu and Flox Syandana. Fixed issue where Eximus enemies would fall out of formation with other enemies when using their abilities. Fixed enemies not spawning correctly in the Grineer Sealab Exterminate tileset. Fixed flickering occurring when the camera enters/leaves a fog volume. Fixed flickering lake in Grineer Shipyards Mobile Defense tileset. Fixed Plains of Eidolon sometimes looking desaturated at times. Fixed Cave minimaps appearing incorrectly. Fixed the Hydrolyst lightning strike all striking at the same angle/rotation. Fixing sometimes seeing black squares when casting Nyx's Chaos ability. Fixed some enemies spawning in ceilings and walls in Fissure missions which can often lead to lack of progression. Fixes and numerous improvements towards AI spawning and navigation in the Grineer Forest and Corpus Outpost tileset. Fixed enemies sometimes triggering detection beams that should only trigger for Tenno in the Lua tileset. Fixed a long game hitch when switching loadouts in the Simulacrum Arsenal. Fixed Syandanas not being covered by the Snow VFX when out in the Orb Vallis after a period of time. Fixed the Plinx being misaligned with the Warframe’s hand. Fixed out of sync VO for Boon during K-Drive races. Fixed looping sounds when firing the Ignis/Ignis Wraith. Fixed Lotus and Ordis transmissions overlapping radio transmissions. Fixed missing sound when re-Casting Volt’s Speed Ability. Fixed issue where Tenno slide sound continued to play if the player performed a roll action during a slide. Fixed Kitgun reload sounds playing when firing with Pax Charge equipped. Fixed incorrect Impact sounds of Kronsh Zaws. Fixed kneeling sound FX playing before the login screen. Fixed hearing Headshot sounds when firing the Flux Rifle. Fixed missing energy FX on the Flox Syandana. Fixed Fissure Corruption FX not applying to Kitguns or Zaws. Fixed ice FX on Teshin’s Orvius appearing too dim in The War Within cutscenes. Fixed position of “pickup” FX on Profit-Taker Orb Articula. Fixed VFX and particle effects from other player models appearing when talking to vendors in Cetus and Fortuna. Fixed minor issue with the context action indicator FX where the particles would "lag behind" as you walked around it. Fixed halo FX from Nezha’s Safeguard Augment appearing too low on Sentinels. Fixed Magus Firewall Arcane’s FX not appearing for Clients. Fixed Cobra & Crane VFX distortions when holstered. Fixed incorrect FX color on impact when casting Ember’s Fireball ability. Fixed missing FX/texture for Rhino’s Iron Skin. Fixed missing Elemental FX for the Glaive Prime. Fixed part of the Capture FX not appearing correctly if you were invisible (with Loki, for instance, the sparks wouldn't be directed into his hands). Fixed the FX of the Operator's Void Blast spawning in the ground below their feet. Fixed incorrect Codex image for the Nightwatch Lancer. Fixed missing Trigger stat for Gaze Chamber Kitguns in Rude Zuud’s crafting screen. Fixed the Terra Raptor appearing tilted when hovering. Fixed a UI lockup when following a Chat link to any item with a Sugatra while you have a Zaw equipped. Fixed UI lockup that would occur if you checked Abilities for an Archwing. Fixed missing UI icon when crafting an Amp with Little Duck. Fixed a UI overlap when attempting to Trade in the Dojo while browsing your Inventory. Fixed Saturn Six Fugitives displaying target UI and Capture context in the Simulacrum. Fixed the Star Chart UI not maintaining your previous ‘Episode Status’ or ‘Resource Drone’ selection. Fixed the Fugitives UI persisting when in Orb Vallis/Plains if not all Fugitives are Captured while in an active encounter. Fixed missing Staticor Ammo UI upon swapping. Fixed overlapping UI in the Nightwave Tier Rank up screen. Fixed a level hole in Relays and Maroo’s Bazaar that allowed players to escape. Fixed floor gaps in the Grineer Fortress tileset that resulted in Ayatans falling through to an unreachable place. Fixed hole in Ocean surface on Grineer Sealab tileset. Fixed misaligned Elevator call context action in the Grineer Asteroid tileset. Fixed collision issue with machinery in the Grineer Forest tileset. Fixed enemy AI getting stuck in the Grineer Forest Defense tileset. Fixed Orokin Derelict meshes poking through non-Derelict tilesets. Fixed a level hole in the Stealth Orokin Challenge. Fixed an escapable level hole in the Lua tileset. Fixed lighting issues on the Lua tileset. Fixed gaps in terrain, improved performance and added raycast fog on a Grineer Forest tile. Fixed Mesa’s Regulators name not appearing in the HUD when ranking up. Fixed incorrect Scimitar Fuselage component description. Fixed not being able to @ people in Chat if their name included a '.'. Fixed Banshee Sonar reading "CRITICAL MULTIPLIER" when it’s actually "DAMAGE MULTIPLIER".  Fixed The Index Sigil reading ‘Emblem’ instead of ‘Sigil’. Fixed a localization issue with Arcane Fury and Arcane Awakening. Fixed multiple crashes and script errors! The following list of changes went live with Nightwave and some were already listed in the Alert Dev workshop, but we felt they were worth mentioning here in case they were missed! Increased chance of Kavat scans yielding Genetic Codes to 25% and made drop chance/amount Boosters apply to all scans that yield Resources. As always, if you own the now Vaulted Relics they will remain in your Inventory until you use/trade them. Assassins (Stalker, Wolf of Saturn Six, The Grustrag Three, Zanuka Hunter, etc) now scale levels based on player counts, not based on the weapon levels of the target player. Slightly decreased the Wolf of Saturn Six’s Health. Slightly increased the Wolf of Saturn Six’s damage output. Fixed the ‘Day Trader’ Nightwave Act not being marked complete after meeting the requirements. The appropriate Standing was delivered behind-the-scenes, but the UI neglected to accurately display that. Completing the Index requirements again post Hotfix will correct your UI, but note that the Standing has already been delivered. Fixed a crash related to the Coolant Raknoids. Fixed inability to search anything in the Dojo when typing in UPPERCASE. Fixed the TennoCon 2019 Armor not sitting properly on Hildryn. 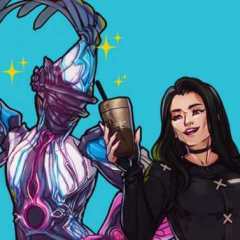 Fixed your Warframe not looping the TennoCon 2019 animation. Fixed wonky arm animations when Dual Wielding. Oh lordy heavens yes! This is going to make Pobbers much easier to capture if I'm not using Loki, Ivara, or Equinox. I've been patiently waiting for this so thank you! Much thanks for being up-front about the Exploiter Orb issue. It seems to be a large mess from what I've been reading on the forums. One last thing while I'm here. I know for sure in the amp preview window for LD and Onkko the new Fortuna amps are backwards and rotated around incorrect directions. Is that the case for assembled amps using the new parts as well? A couple of forum posts bringing up the issue look like the parts are displayed wrong on the operator's arm, and I've been holding off on using the new scaffolds and braces until there was actual word on it. Anyway to unbind certain buttons relating to the new melee? Had a custom binding for years and wondering if this is the new way or is there a way to change it? in response to not being able to move melee channeling or secondary fire around, I see the note on it, Any plans on allowing binds to undo it? Or create a customer slot in bindings to help with this? Where are are the double resources and creds that pc got in the vallis for this event? The new melee button assignment eliminates channeling with melee on Xbox, being Right Analog Stick+B. It used to be Left Trigger+B. I tried to reassign melee channel to another button, but was provided with a pop-up prompt informing that I could not do so. I hate keyboards, so something need be fixed. Toggle works as an on/off switch for channeling, now. For some reason it didn't right after the update was launched, but works now. The new melee button assignment eliminates channeling with melee on Xbox, being Right Analog Stick+B. It used to be Left Trigger+B. I tried to reassign melee channel to another button, but was provided with a pop-up prompt informing that I could not do so. I hate keyboards, so something need be fixed. Ok so maybe a few items that are an issue with this update. 2/ Archwing controls do not work. I can launch the Archwing, but can not fly it. I did once, but now having tried it 15 or so times. There is no function to boost to actually fly. You just hover along the ground. 3/ I can not select my secondary weapon at all unless I'm holding something, like the canister to drop into the fissure. Other than that, no amount of button pushing allows me to actually just switch to my secondary. Now perhaps how you do that is now different and I just haven't figure it out, but tapping y doesn't do it not does any other button. Maybe the controls have all changed, I use a default setup so I don't know. Improved ﻿hand placement in the kneeling animation when logging into Warframe where larger Warframes appeared to have their hands clipping through their legs. Can't comment on any others, but not on Nidus Phryke, you didn't. Hands were right through his thighs. I don't like the new changes for melee. The camera jitter makes me sick and I hate having to use combos all the time. Is there a way to mess with the settings to revert the primary/secondary to melee select so I can continue using my Tonbo the way I used to use it? I feel like I'm being forced to use the combo attacks and I don't like it. Maybe the controls have all changed﻿, I﻿ use a defau﻿lt﻿ setup so I don't know. If you use default controls, try going into the controller setup menu and restore default settings and see if that helps you. Perhaps something glitched on you because personally I haven't had any issues like that. So, can't use melee attacks while Archgun is deployed now. This a config issue?....a bug?.....or the intent? It is intentional that you cannot use Melee attacks while your Archgun is deployed. If it stayed on, rather than need to hold the stick AND tap B, I'd have been able to apply Lifestrike. Could we please get the basic melee attacks back? I hate having to use combos all the time. I use a melee weapon that's best used with basic attacks and it feels useless in combo mode. Alt-fire is responding as momentary button-press, not toggle, for channeling. One must hold alt fire button down to channel. Can we please get a fix for this? When holding a coolant canister, it can be "thrown" as a bomb of some kind. Is this intentional? Easily reproduced: pickup coolant canister on Vallis, press B, press left trigger once(some kind of aiming arch shows up), press left trigger for a second time. According to notes, pressing left trigger at any time should aim my primary/secondary weapon. However, if holding canister and melee shows selected(name in bottom right of ui), the behavior described above occurs. When holding a coolant canister﻿, ﻿it can be "thrown" as a bomb of some kind. Is this intentional? Yes it is intentional. It is needed for later on in the event. We've got some great news to share - After the hard work of the team, we no longer need to send to Cert for the next stages of the Operation. Meaning that Data-hash and Escalation will be coming much sooner than originally anticipated! We hope you've been enjoying closing up those blasted Thermia Fractures, all your efforts will soon lead you to the next stages of Buried Debts. @[DE]Danielle oh really?! How'd you manage to get away with not sending to Cert??? Looking forward to the next parts of the Operation. What happens if 1 of the Data-Hashes are scanned before we have access to it? I found a Data-Hash and wasn't sure what it was so i scanned it, will this affect the next part of Operation: Buried Debts for me? Buried Debts: Hotfix 1 is now live! We still cant farm Hildryn parts? Console has to wait for updates after PC and after that extra time the exploiter orb isnt in the game yet?